Preheat oven to 350°. Cream butter and sugar. Add oil, eggs, and vanilla; mix well. Stir together flour, baking soda, and salt. Add flour mixture and milk alternately to creamed mixture. Stir in chopped hazelnuts. Spoon half batter into sprayed and floured bundt pan. Spoon ½ cup Nutella over the batter in pan. 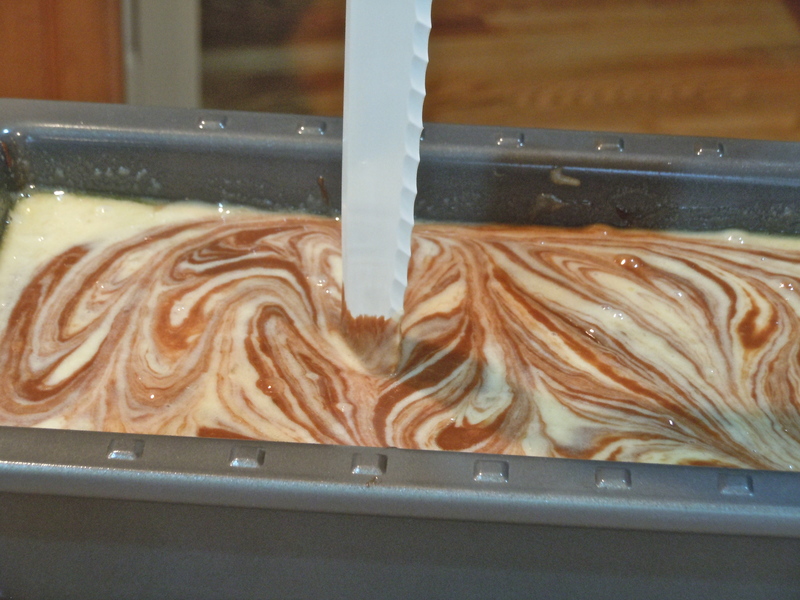 Carefully spoon remaining batter over Nutella layer. Bake 45-50 minutes or until pick inserted in center comes out clean. Cool in pan 10 minutes, turn out onto wire rack to cool completely. Warm remaining ½ cup Nutella in microwave slowly on low power to make a little more spreadable, spread/drizzle over top of cake. 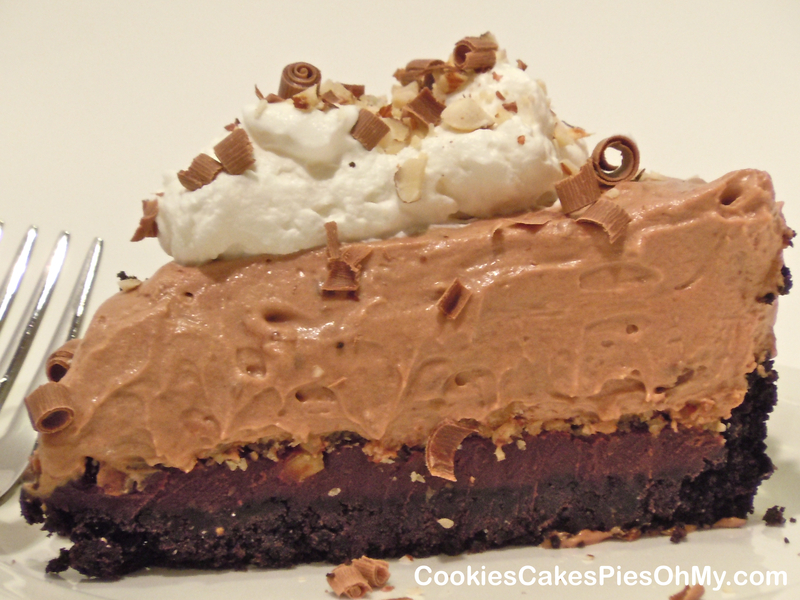 Sunday evening and we want a little something sweet and chocolatey. 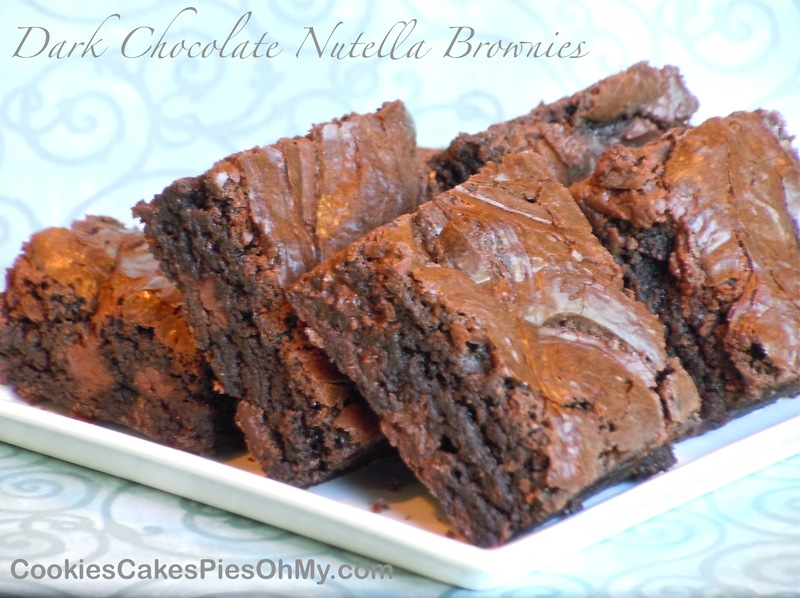 Delicious moist dark chocolate brownies with creamy Nutella swirls. Preheat oven to 350°. Spray 8″x8″ square pan with nonstick spray. In large bowl, mix melted butter, sugar, and vanilla. Stir in eggs until well combined. 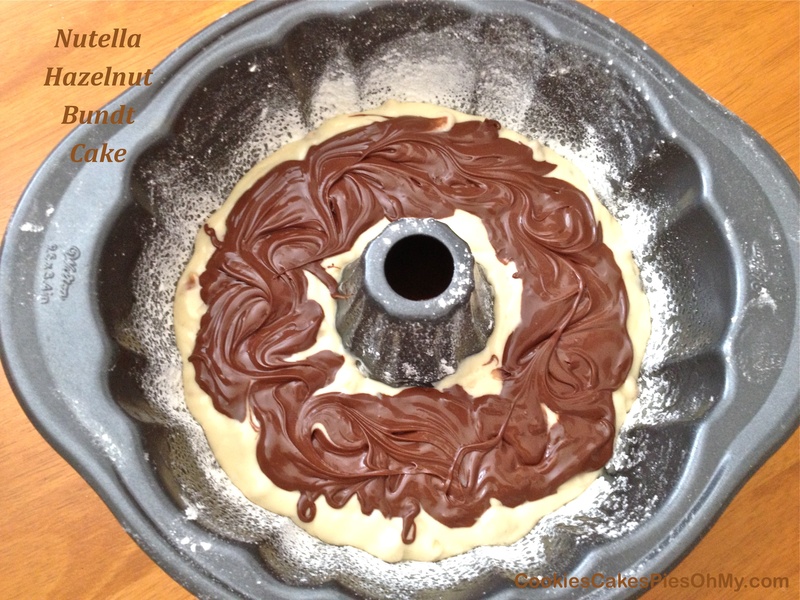 In small bowl, whisk together flour, cocoa, baking powder, and salt. Beat dry ingredients into butter mixture by hand until well combined. Pour into prepared pan. 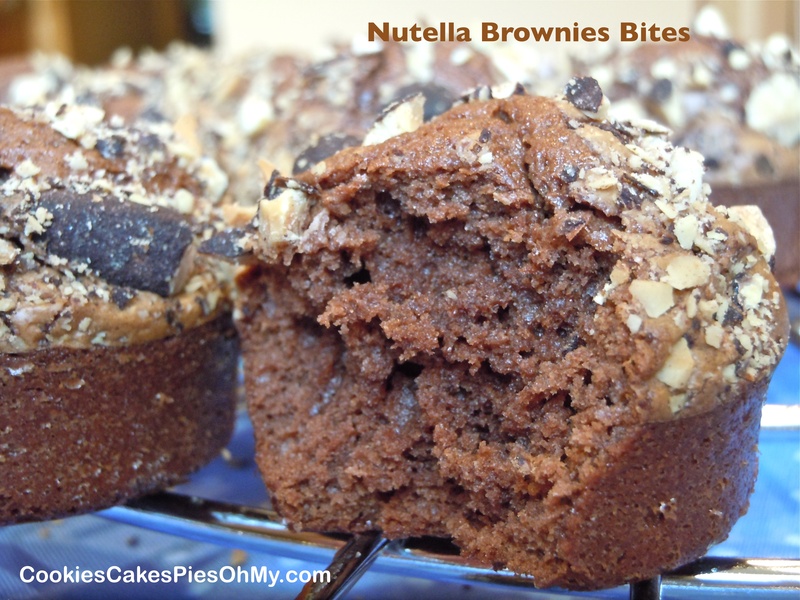 Drop spoonfuls of Nutella over top of batter then use a knife and swirl into brownie batter. Bake 20 to 25 minutes. Cool completely then cut into squares. 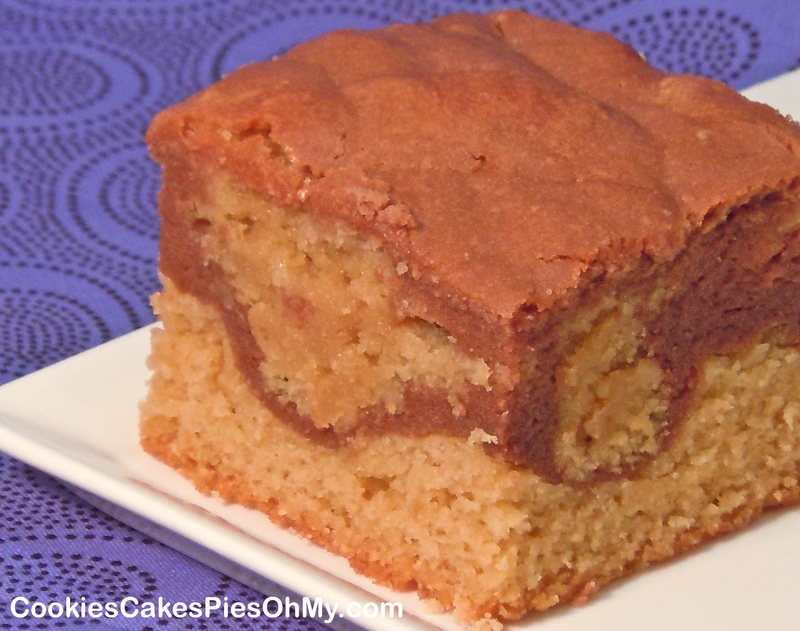 There is cream cheese in my refrigerator I must bake something…Cream Cheese Blondies. Well, sounds delicious but I think I will add Nutella. This is what you get, tastes pretty good! Preheat oven to 325°. Line an 9″x9″ pan with foil and lightly coat with non-stick spray. For blondie batter, cream butter and brown sugar. Mix in eggs and vanilla until combined. Add flour, baking powder, and salt, mix until well combined, set aside. 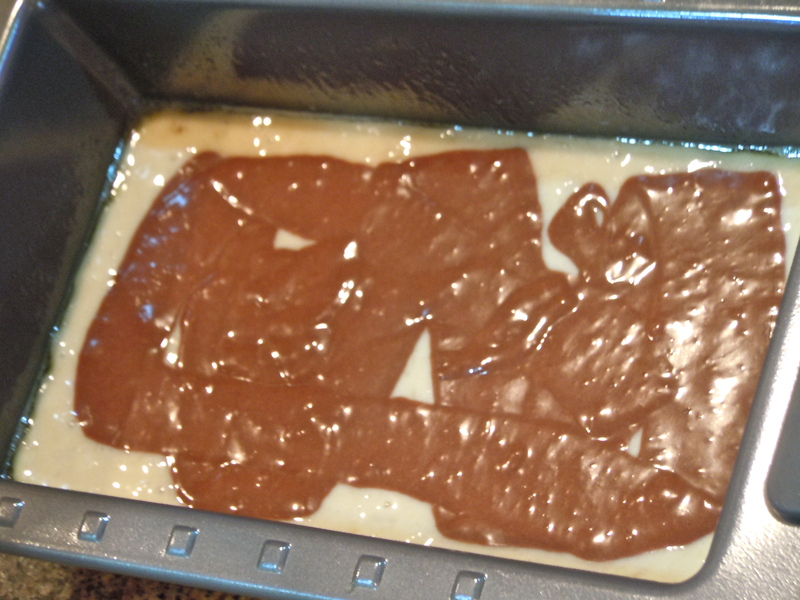 For Nutella cream cheese batter, cream cream cheese, butter, and sugar. 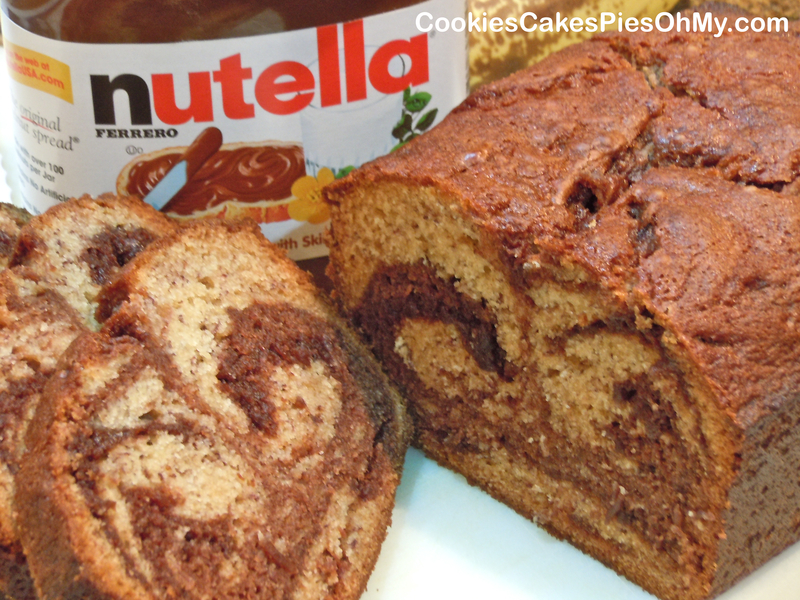 Add eggs, vanilla, and Nutella, mix. Add flour and mix until smooth. Spray clean fingers with non-stick spray and press half of blondie batter in prepared pan. 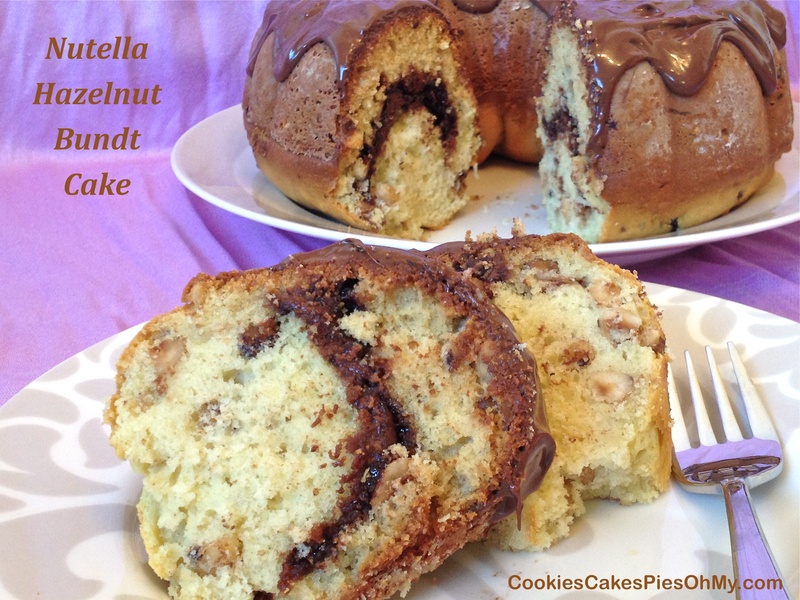 Pour Nutella cream cheese batter on top of blondie batter and spread evenly. Drop small dollops of remaining blondie batter over the top. 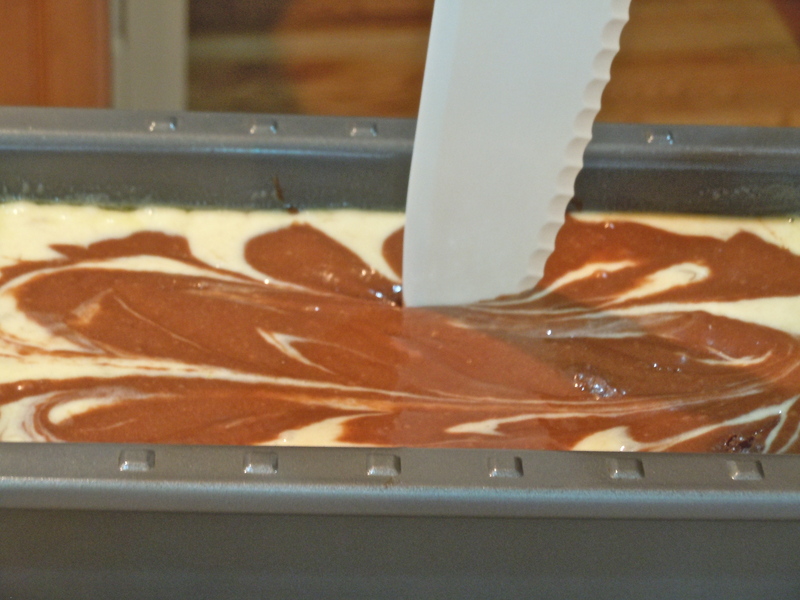 With a butter knife, swirl both batters into each other a little bit. Bake until lightly brown, about 40 minutes. Cool in pan about 10 minutes and carefully lift out – place onto wire rack to cool completely. Remove foil and cut into bars.